Despite the many improvements on the macroeconomic front over the last two years, the run of GDP growth of under 4% – continuing for a sixth consecutive quarter – is a cause of some anxiety. Economic growth matters; whether or not GDP is an appropriate measure of economic progress or strength of a country’s economy, it is a measure that governments rely on heavily to shape policy, determine spending or use as a scorecard for performance. Economies grow in different ways and for different reasons. The excesses of Sri Lanka’s credit driven, rapid growth in the immediate post-war years was unsustainable; it was exaggerated by a large domestic consumption bubble. By contrast, the present policy emphasis on productivity enhancements to boost growth can yield sustained and lasting growth. Significant gains have been made on the macroeconomic front over the last two years to support growth. Public finances are in much better shape; monetary policy has been largely effective in restoring price stability; despite the many challenges, exchange rate management has been sensible, allowing for a gradual depreciation instead of an often-futile attempt to defend the currency with limited dollar reserves in hand. Some fundamental numbers in the economy too are moving in the right direction. Export earnings have turned a corner and so has Foreign Direct Investment (FDI) inflows. These developments may not yet hold the transformative promise of productivity enhancements that the Sri Lankan economy needs urgently – with nearly 60% of FDI flowing into infrastructure rather than manufacturing and services – but they are a useful start to getting the economy to pick up speed again. Thus, after three years of underachievement, the economy is being put on a sounder footing to attract private investment and revive growth, and most importantly, accrue benefits to ordinary citizens in the process. The question is whether despite the positive progress on the macroeconomic front, private investors will hold-off, uneasy at the prospect of what promises to be testing electoral times ahead for the ruling coalition. Imports of investment goods contracted by 0.6% in the first half of 2018, indicative perhaps that businesses are holding back from making all but the most essential investments. Indeed, various business confidence indices indicate that investor sentiment has remained disappointingly flat. The reason, mostly, is political; policy decisions of the unwieldy coalition have been laboriously slow-moving, all too often sending mixed signals even when a decision appears to have been arrived at. Addressing constraints on ‘Ease of Doing Business’ to boost private investment and make life easier for businesses have dragged on interminably. These are clearly the early and easy gains that could have been accrued to help lift the rate at which the economy can grow. Instead, it took the spectre of a looming economic crisis – and intervention under a Stand-By Arrangement (SBA) with the International Monetary Fund (IMF) in mid-2016 – to get reforms underway. Some of the harder reforms that came with the IMF programme imposed a heavy burden on household incomes as a result of higher taxes. This included an unpopular increase in the Value-Added Tax (VAT) to start shrinking a large fiscal deficit that was partly the result of populist adventurism in the run up to the 2015 elections. The impact on cost of living was made worse unfortunately by adverse weather that disrupted agriculture production in 2016-2017. Added to this, slow growth meant modest wage gains and job creation; in fact, Sri Lanka’s employed to population ratio has remained stagnant at 37% in this period. Against this backdrop, higher prices on food and other essentials were sufficient for the public’s mood to swing dramatically and provoke a voter backlash at the much-delayed Local Government polls in February 2018. This first test of electoral popularity for the Government deepened the cracks in the ruling coalition. The manifestations of this, such as the decision by the President in March 2018 to take economic management under his chairmanship of the National Economic Council (NEC) and abolish the Cabinet Committee on Economic Management (CCEM) headed by the Prime Minister, sends mixed signals as to who in Government is responsible to push changes through on economic policy matters. Outward dissent has also been a recurring problem with a spate of strikes and demonstrations gathering momentum. The number of man days lost as a consequence of strikes in the private sector has risen to an annual average of 80,000 days during 2015-18 compared to a figure of 50,000 during 2012-14,1 disrupting day-to-day business operations. A 12-day state of emergency was declared in March 2018 following inter-community clashes. Some of it is no doubt politically motivated, but it adds to the overall impression of disarray and the seeming absence of a sense of urgency to address the problems firmly. The Government has been particularly inept in communicating the need for, and benefits of, some of the easy reforms. In this vacuum, there has been a progressive hardening of positions regarding more contested reforms such as bilateral free trade agreements (FTAs) or divestiture of State entities similar to the Hambantota Port and Mattala International Airport. The prioritising, sequencing and pacing of reform initiatives have been ad hoc. In the melee, it becomes that much harder to build broad based support for the kinds of reforms necessary to make the Sri Lankan economy more competitive. Outward dissent will be louder as Sri Lanka enters a decisive election cycle; delayed Provincial Council elections are scheduled next, to be followed by the critical presidential elections in late 2019/early 2020. As the ruling coalition appears to be gearing up to stand on separate election platforms, it may be tempted in the run up to lean on both fiscal and monetary policy to stimulate growth and deliver some swift economic relief measures. The grim reality, however, is that there is little leeway to do so without undoing the gains wrought through a painstaking and steady procession of changes over the last two years. The overhang of Government debt in the medium term contributes to anxiety on the Sri Lankan Rupee. As the rupee depreciated by 10.5% in the first nine months of 2018, there is no let up on the country’s reliance on commercially priced foreign borrowing given the bunching of foreign debt repayments due over 2019-2022. The devaluation of the rupee will worsen Sri Lanka’s debt ratios. It will also add another blow to GDP growth; interest rates will rise, containing investment and growth prospects further. With a sounder macroeconomic footing, the surer bet for a sustained growth rebound, is deeper structural economic reforms that tackle key constraints such as skills and technology. But, a reform push now to ratchet up pro-growth measures is even trickier as Sri Lanka starts readying for further rounds of elections. The ruling political coalition has to pull off a delicate act in the coming months – prevent economic policy slippages that damage the country’s investor prospects, and push ahead with reforms that will revamp the economy and lift growth. It is a tall order for a coalition that is struggling to maintain a united and common front with a host of actors ‘in power’ and ‘in opposition’ at the same time. Going by the aftermath of the February 2018 Local Government elections, the differences between the ruling coalition partners are likely to widen rather than narrow. In the interim, the two parts of the Coalition Government may well be caught between attempting not to damage the country’s economic prospects, and for not getting the blame if the economy does badly. Thus, Sri Lanka must prepare for a certain degree of policy gridlock in the months to come; perhaps even more importantly, for a ‘watch-and-wait’ approach by investors looking to the medium to long term outlook. This attitude will be driven by a host of uncertainties; not least, on future political candidatures as parties gear up to stitch up alliances for national elections, and specifically, whether a reformist agenda will continue post-2020 or if its key provisions will be reversed. In these circumstances, the best that can be hoped for is that the economic gains of the last two years will be retained. The CBSL’s optimistic growth forecast of 4.5-5% for 2018 has been subject to downward revision; to 4.0-4.5 in May 2018 and to 4% in August 2018. The Sri Lankan economy will see incremental improvements in growth from the low 3.1% achieved in 2017, but without the hoped for transformative acceleration that can come from a rapidly modernising economy. The next steps and their outcomes are likely to be heavily determined by the intersection of politics and economics. A push to adopt more populist measures with an election in sight will of necessity be restrained by Sri Lanka’s programme with the IMF till mid-2019 and the challenge of early refinancing of the country’s medium term debt settlements from 2019. In this hiatus, there will likely be limited appetite for pushing ahead with economic reforms. As trade-offs are weighed between reforms and the possibility of an electoral backlash, politicians will be stuck between voter demands for the immediate accrual of benefits, while actual benefits are likely to be felt only after a lag. For the Government, that lag time is narrowing swiftly. 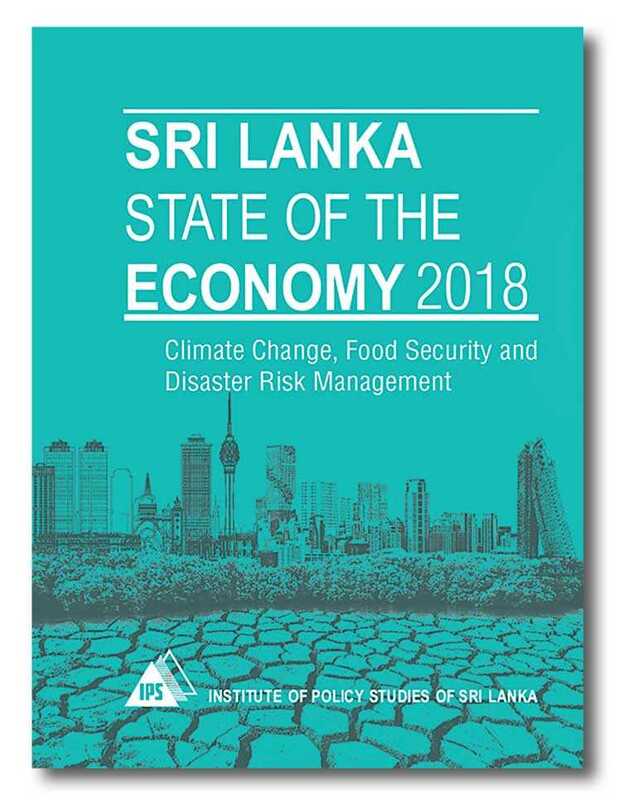 In this scenario, the temptation to switch from economic reforms to politics-as-usual will be high; it is to be hoped that Sri Lanka will be more successful this time around in breaking its pervasive populist cycle to retain the gains on the macroeconomic front. 1 Estimated as the number of strikes times the number of workers involved. See Central Bank of Sri Lanka. (2017). Annual report. Colombo, Sri Lanka: Central Bank of Sri Lanka.